An issue that has baffled me is your ability to offer so much concise data in the when obviously the scarcity of reliable sources needed to research and document historic occurrences and events in Iran presents a major challenge. How do you deal with this challenge? Ehsan Yarshater is an iconic figure by all measures; he is perhaps the foremost expert in Iranian history, language and culture and with a steely resolve has set out to accomplish a grand task: to scholarly document the facts of history, language andcivilization of Iranian peoples through multi-disciplinary reference work and research in Encyclopedia Iranica. This is a stewardship project worthy of pride and generous support of all who are either Iranian by ethnicity, were influenced by its profound culture, or pursue a balanced, accurate account of its history and for that matter, the history of all civilizations. Never throughout our existence as Iranian speaking nations, have we encountered another example of independent compendium of objective, documented, and reliable information about our past as the Encyclopedia Iranica project has done. In his recent visit to the San Francisco Bay Area, in advance of the Iranica fund-raising gala on May 13th, I had the honor of interviewing professor Yarshater to learn more about his motivational drive in completing this grand endeavor. Expectedly I walked away content with his tirelessness, intellectual prowess and graceful fairness. An issue that has baffled me is your ability to offer so much concise data in the Encyclopedia Iranica when obviously the scarcity of reliable sources needed to research and document historic occurrences and events in Iran presents a major challenge. How do you deal with this challenge? It is true that for some aspects of our history, particularly our ancient history, we do not possess adequate sources, especially native sources. However, for some other facets of our history, particularly as we approach modern times, there are adequate sources for research. Let us take Qajar history as an example. Not only are there histories, memoirs, and other documents produced in Iran itself but these sources can be supplemented with what can be found in the archives of some countries like Britain, Russia, Austria, and France, all of whom had relations with Iran. And this is not to mention a number of very useful travel books written by Europeans and Americans. On the other hand, detailed and exact information about the Arsacid dynasty, which ruled over Iran for some 500 years, is difficult to come by and were it not for what the Greeks and the Romans have written about them, the coins of their kings, and some archeological finds, our information about them would have been even more meager. This is also true of the history of Iranian peoples in Central Asia, like the Sogdians, the Bactrians, and the Khorasmians. The Encyclopedia Iranica tries to present an accurate, or rather as accurate as possible, picture of Iranian history and culture, and we try to make the best use of resources that we have in our possession. This requires also the use of proper scientific methods, impartiality, and objectivity. What is the reason for the scarcity of indigenous sources of our ancient history? There are multiple reasons. For the Achaemenid period, we have relatively adequate sources because of the Achaemenid inscriptions, particularly those of Darius and also because of Greek historians who have written about them, above all Herodotus. However, given the animosity of the Greeks for the Persians and the Persian Empire, their depiction of Iran, adopted by and large by Western historians, is rather skewed. But for the Parthians and Sasanians, the two other great pre-Islamic dynasties, we are not so lucky. In the Parthian period, history and literature were generally oral and we don’t know if they were recorded at all. Furthermore, the Sasanians, who toppled the Arsacid dynasty and accused them of betraying Iranian interests, were intent on obliterating their remains. Some of their heroic legends are reflected in the Shahnameh, in the account of noble warriors such as Giv, Gudarz, and Milad (a form of Mehrdad). As for the Sasanians, it is true that we have the great inscription of Shahpour I and several inscriptions from the zealot, Zoroastrian priest Kerdir but otherwise what we have is a pale reflection of their history in the Perso-Arab histories and the Shahnameh – accounts mixed with legends. Though of course we have also coins and the writing of the Roman and Byzantine authors. Again, in this period too, history and literature were mostly oral. Only towards the end of Sasanian times was a history of Persia put together and committed to paper under the general title of Xwatay-namag. This served as the ultimate source for the Shahnameh and the Islamic historians. It is a mixture of mythical, legendary, and factual history. It lacks any mention of the Achaemenids such as Cyrus and Darius because the Sasanians had no knowledge of them. All they knew about were the Pishdadids and Kayanids – legends that they had inherited from the ancient Zoroastrian sources. Did the advent of Islam play a role in this respect? Indeed it did. When Iranians had to adopt Islam and the Arabic script anything expressing a Zoroastrian point of view written in the Pahlavi script gradually became alien to Persians and lost, as the Muslims considered them the works of the infidels and associated them with kofr. Regarding your earlier point about preserving and presenting Iranian history and culture as accurately as possible, there are cases of identity claims when it comes to cultural icons like Rumi or Nezami and there are nations which claim ownership of their heritage. What really constitutes Iran? Is it geography or language? What methodology do you use to define the scope of your work for Iranica? I believe the basic criterion, in deciding on the identity of the poets and the writers, is the language that they use. For example, a Persian poet like Bashard Ebn Bord, who has written exclusively in Arabic, should be considered an Arab poet even though he was from Iran. Rumi and Nezami wrote in Persian and that is what matters in deciding their affiliation. However, we should not feel so sensitive about claims made by the people who are in search of cultural credit to boost their nationalism. Great poets and writers belong to humanity. A poet like Rumi was born in Balkh in Afghanistan and lived in Konya in Anatolia but wrote in Persian where his cultural roots lay. It is more important to read, know, and appreciate the works of such poets than to quarrel with other people about their identity. The truth will never remain hidden for long. This is why the Encyclopedia Iranica says that it covers all nations and societies who either speak or at one time spoke an Iranian language. Geographical boundaries change. So too do languages. Take, for instance, Central Asia. Before the 6th century, when the Turks appeared in the region for the first time, the entire region was Iranian, inhabited by Parthians, Sogdians, Bactrians, Khorasmians, and some other Iranians. Now it is mostly Turkified. However, the ancient and medieval history of the region is essentially Iranian. Speaking of languages, much has been said about the influence of other languages (such as Arabic) on Persian but how about the influence of Persian on other languages? In the context of Iranica do you focus on the current use of terms or their historic use or both? That’s a good question. If language and literature are our main criteria for deciding on the identity and affiliation of individual poets, writers, and authors as well as regions, then we have to follow the course of the language and see where it leads. No great culture has developed in isolation. Cultures always borrow from other cultures, either older or contemporary. Take, for instance, the Persian language. The Persian language, as well as its literature, has been greatly influenced by the Arabic language and its literature. For example, qaside is a form totally adopted from Arabic poetry. But Persian has also, in its turn, influenced other languages. However, it is worth noting that insofar as language is concerned, only a number of words were borrowed from Arabic. The structure of the language, on the other hand, did not change. This is comparable to English that is essentially Anglo-Saxon and Germanic in structure but is saturated with French words because French Normans conquered England and ruled there for some time. The English did not mind this linguistic influencebecause it enriched their language and it has never occurred to them to get rid of the words of French origin. Similarly Arabic vocabulary enriched the Persian language, but the structure of Persian remained unaffected by Arabic. Many countries that were conquered by the Arabs were Arabicized includingPalestine, Syria, Egypt and Mesopotamia. Iran, however, which was controlled by Arabs for more than 200 years, never gave up its language and only adopted some Arabic words and that is quite understandable considering the conversion of the Persians to Islam. Did the Persian language and literature influence other languages? How? Absolutely. Islamic civilization has two distinct phases: an Arabic phase and a Persian phase. During the Arabic phase, that is, the first five or six centuries of Islam, Arabic was supreme and was the lingua franca of the Islamic world. During the Persian phase, which began around the 10th century with the renaissance of Persian language and letters and soon coincided with the cultural decline of the Western part of the Islamic world, it was Persian that served as the lingua franca in the eastern part of Islamic society, from Anatolia to India. During some six centuries, from about the 11th or 12th century, the Persia letters served as the model for all of the regions from what is present-day Turkey to Bengal in the subcontinent. By a decree of Akbar, the Mughal emperor, Persian became the official language of government in his realm and Persian poetry together with its themes, motifs, imagery and form served as the model for Turkish poetry as well as for the Indian poets who wrote in Persian. The Turkish language and Urdu were replete with words borrowed from Persian, many of them of Arabic origin. This trend continued until the mid-19th century when English began to replace Persian in the subcontinent and when the European influence started to transform Turkish literature. Do you pay special attention to the contribution of religious and ethnic groups to Iranian history and culture in the Encyclopedia Iranica? If you read the introduction to the first volume of the Encyclopedia Iranica, you notice that one of the objectives of the Encyclopedia is to redress the neglect that Iranian ethnic, religious and other minority groups have suffered. They have never been acknowledged as part of the mainstream of Persian history and culture whereas the fact is that some of these minorities such as the Jewish minority, which is very old, and the Christians, who are today confined mostly to Armenians and Assyrians but in medieval times formed a considerable minority in Iran, have made significant contributions to Iranian culture. For instance, they contributed to Persian music and medicine. Objectivity and fairness requires that we give them their due. So we have many articles about the Kurds, Balouchis, Pashtus and various other groups who speak the Iranian dialects as well as groups who speak Turkish and Arabic and some ethnic minorities like Georgians, Armenians and Arabs as they are all part of the Iranian nation and are entitled to be recognized for their contributions to Iranian history and culture. There have been recent allegations by people like Edwin Black who try to smear the reputation of the Iranian nation, its history and culture. There was a non-scholarly article that was published in the San Francisco Chronicle alleging that Iranians are and have been anti-Semites and collaborated with the Nazi regime in Germany. Dr. Milani of Stanford University has responded to these accusations but I would like to know if, pertinent to the Iranica project, you are fearless in addressing the entire history of Iran or avoid controversial topics. We by no means avoid any topic as long as it can be framed in an academic discussion. We do not involve ourselves in ephemeral, political discussions which lack an academic foundation. What we try to do, rather than respond to ill-formed allegations or points of view is to present reliable, authoritative accounts of events based on accurate documentation. Of course there are many controversial topics in Persian history, such as the date of Zoroaster or some of the measures taken by Khosrow I in the course of his reform. We cover such topics with the utmost partiality, presenting different arguments raised by scholars of repute. As to the allegation of anti-Semitism, of course it is true that the Jews. in post-Roman destruction of the temple like the Manicheans (except in an Uighur Khanat in the 8th century), were denied fair treatment no matter where they found themselves and very often were the subject of abuse and persecution. However, if you compare the treatment that the Islamic people have given to the Jews with that of the European Christians, one immediately realizes that the hardship, deprivation, and persecution that the Jews were subjected to in Christian societies has no comparable example in Islamic societies as Islam, at least theoretically, is committed to protect the “people of the book” which included the Jews. Now that we are talking about controversial issues, I would like to ask you if you have experienced any hostility in the course of the compilation of theEncyclopedia Iranica. By and large, no. Even though the fact is that with our fondness for conspiracy theories, it is almost impossible to start a project which avoids taking sides and is strictly objective and impartial without being accused of some dark plans by some of the more emotionally inclined people. At the beginning, when the Encyclopedia Iranica was not very well known, some people wondered who was behind the whole thing: was it the British, was it the CIA, was it the Zionists, was it the Bahais, was it the Freemasons? My response to all such fancies has been, and continues to be, that one should do one’s work in the way that one believes is right and never deviate from it and let time answer any unfair comments or accusations. I am happy to say that the Encyclopedia Iranica has always been straight, upright, fair, and has not allowed any personal feelings or preferences to interfere with what we publish. Sometimes we have had to publish uncomplimentary entries about people whose descendants happen to be my personal friends. At times we have published entries which go against the general opinion or assumption, but we have to follow the dictates of reliable documents, not rumors or hearsay or the transient fashions of the day. To pursue a just, fair and objective method is the only means of making the Encyclopedia trustworthy and reliable, not only to the Iranian community but also to the global community. If the Encyclopedia is not factual and reliable, our efforts would mean nothing. We do everything possible to ensure that nothing can injure our reputation for fairness, accuracy and reliability. If an unintended mistake is made, we correct it in our corrigenda and addenda which precedes each volume and is later entered in the text. Do you think that your work complements Dehkhoda’s Loghatnameh? These are two entirely different works. Loghatnameh is essentially a monumental dictionary. Its basic aim is to define words and back up their meanings with citations from poets and writers who have used a given word. It is true that Loghatnameh also contains, dynastic histories but such entries were not essential to its purpose and they are not balanced either. For instance, Biyruni receives an entire treatise as his biography but some of the Persian dynasties are not even mentioned. It is a tremendous service rendered by the late Dehkhoda to the recording of Persian language and its nuances. Encyclopedia Iranica is, on the other hand, a treasury of information and data about all aspects of Persian history and culture: its arts, its dynasties, its prominent figures, its books, its poems, its economic, educational, and political institutions and all branches of Iranian studies including flora and fauna, music and folklore, customs, rituals and ceremonies, etc. It has had no precedent. It is true that at the turn of the century, two thick volumes were published in Germany between 1896 and 1904, edited by Ernst Kuhn and Willhelm Geiger which practically summed up the information available more than a hundred years ago on Iranian languages, literatures, history, and religion but that was not in an encyclopedic form. It consisted of a number of treatises written by the outstanding scholars of the time – a work of considerable value which even today has not lost its usefulness. The Encyclopedia Iranica, on the other hand, is far more detailed and follows the established method of major encyclopedias, emphasizing documentation with a nearly exhaustive Bibliography at the end of each entry. Iranica is a living document and you have nowmade it available online. There is no Persian version that I am aware of for now. Do you foresee a model similar to Wikipedia and how will future additions to this encyclopedia be handled? Your question is really a combination of several questions. The first issue is the translation of the Encyclopedia into Persian. Many people have been asking why the Encyclopedia Iranica is in English when the language of Iran is Persian. I have explained that Iranica is written in English because English happens to bethe most widespread language of our time and the language with the largest number of readers. And our purpose is not only to write for Persians but to make scholarly information about the Iranian world and its civilization known throughout the world. English is our best means of achieving this. Now, if we had chosen to prepare the Encyclopedia in Persian, how many people would have benefited from that? At most,some 70-80 non-Iranians. By having it in English, on the other hand, not only the entire world can benefit from it, but also the majority of educated people in Iran, who can read English, can profit by it. Translation of the Encyclopedia into Persian is not our work. Our work is to collect and research all of the available data, put it into proper form and publish it so that it becomes available everywhere. Translating it into Persian is an undertaking which has to be done in Iran. In fact, recently, its translation has begun and several volumes of selected entries have already been published. We have no control over such translations because Iran has not signed the Geneva Copyright Treaty. We can only hope that it is translated properly, free of error, omission and interference. A second issue is the ownership of what we publish. Our purpose is neither financial gain nor glory. We want to make a fair account of Iranian life and culture available to the world. That is why the online version of the Encyclopedia Iranica is free for all to access. This also explains why we raise funds from individuals and institutions who value our work. We need the money both to pay our way and also to maintain free access to our online publishing. As to the printed volumes, each copy costs us over $700 and is sold for a third of that price in order to make it possible for the interested individual to purchase it. Our attitude is very different from that of a commercial publisher like Brill in Holland which asks for exorbitant prices for their publications, whether it is online or printed, because they are merchants. The third question is whether we should make the Encyclopedia Iranica open to all contributors like Wikipedia. The answer is that we should not. The Encyclopedia Iranica is an academic enterprise. Its entries are written by highly qualified scholars selected by the editors of the Encyclopedia based on their expertise. Otherwise, we cannot guarantee the accuracy and authority of the entries. A venture in which the Encyclopedia is open to all contributors would result in a mixed batch of entries. Most of the prominent scholars might feel it below their dignity to write a demanding article without invitation and many individuals with a political or personal ax to grind would be writing articles which could be misleading, particularly when emotions are involved in controversial subjects. What is the current state of the project? You had mentioned once that you needed 20 more years to complete it. How many volumes have you published? 12 volumes have been published and Volume XIII is in the press. It takes us to the end of letter “I” and the beginning of letter “J”. At the same time we are inviting the entries in letter “K”. However, this is only half of the story. Some four years ago, we initiated a new approach. Realizing that the way were going, it would take a very long time to complete the Encyclopedia, we decided to take advantage of all of the available Iranologists throughout the world and invite entries on essential topics if we were able to find an author for them. This has given us the freedom to invite articles without observing the alphabetical order. We published these articles on our website on the internet and we will commit them to print when their turn comes. The great advantage of this process is that the time needed for publishing is cut by 2/3. Four years ago, I said that it would take 45 years to complete the Encyclopedia. Now I am hoping that it will be completed in 12-13 years. Another advantage of this approach is that we can update the articles when needed. What financial challenges are you facing today and what do you want the Iranian American community to do? We have had financial challenges from day one after the revolution. This is the kind of project which should have been carried out either by the government, considering its vastness and the tremendous resources that it needs, or by a wealthy foundation. In the first four years, when our expenses were minimal we were supported by the Iranian Plan Organization, but after the revolution we were left high and dry without any support. We therefore faced a difficult choice: either to abandon the project or to go ahead and try to find other means of support. I opted for the second because the need for such a reference work was still there. I applied to the National Endowment for the Humanities (NEH), an independent federal agency which supports educational and academic projects in the humanities. It came to our aid based on peer review. However, after the first three years, they made part of their financial aid conditional on our raising funds from other sources to match their own. So we had to appeal to other institutions and particularly to individuals who were interested in a project such as ours, especially Iranian-Americans. I am grateful to all of the people who have been helping us over the past 24 years or so. For the past several years, one of the means we have used to raise funds is through local committees in different cities made up of dedicated friends of the Encyclopedia Iranica. People who are interested in our work or whovalue the dissemination of information about Persian culture have been a great source of support for us by organizing gala benefit dinners, offering donations and holding auctions and special events. An important feature of the galas has been to honor outstanding and successful Iranian-Americans in various fields of scientific, artistic, and literary and economic endeavors. Our next gala will be in San Francisco on May 13, 2006. It is being organized by a very dedicated committee which is headed by Mrs. Maryam Rahimian. As to the question of Persian or Farsi, definitely Persian. It is a disservice to the Iranian image and interests to call its language, in Western languages, Farsi. 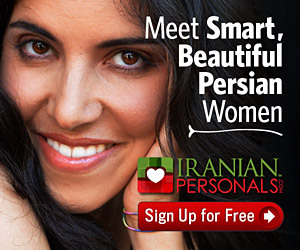 This deprives us of all of the valuable connotations that “Persian” carries in English. For instance, phrases such as Persian literature, Persian poetry, the Persian Empire, and Persian art, etc. Farsi literature and Farsi language, on the other hand, do not make any beneficial sense. Many people in the West know that Khayyam wrote Persian poetry but I doubt if anyone associates him with “Farsi” poetry. Some people use Farsi as a pedantic boast to show that they know the native name of the Persian language. Some Persians use it through a mistaken pride in the use of a Persian word in a foreign language. Personally, I find the use of “Farsi” in English grating. As to Persia and Iran, I wish we had not made the mistake, at one point, of asking foreign countries to call our country Iran instead of Persia which evoked so many helpful associations such as Persian art, Persian carpets, Persian gardens, Persian miniatures, Persian cats, Persian laws (Biblical usage) and even the Greco-Persian wars. “Iran” did not have any of these useful associations but that is why, in the Encyclopedia Iranica, we mostly use Persia for the country and Persian for its people. However, by dint of the use of “Iran” in newspapers and other media in connection with political events or upheavals, “Iran” and “Iranian have long since become household words. In such matters, it is no use to be obstinate once a term becomes widely known and used one should accede to its usage even though we regret it. Some nations spend millions to improve their image; we would be wise not to exchange a good image for a poor one.